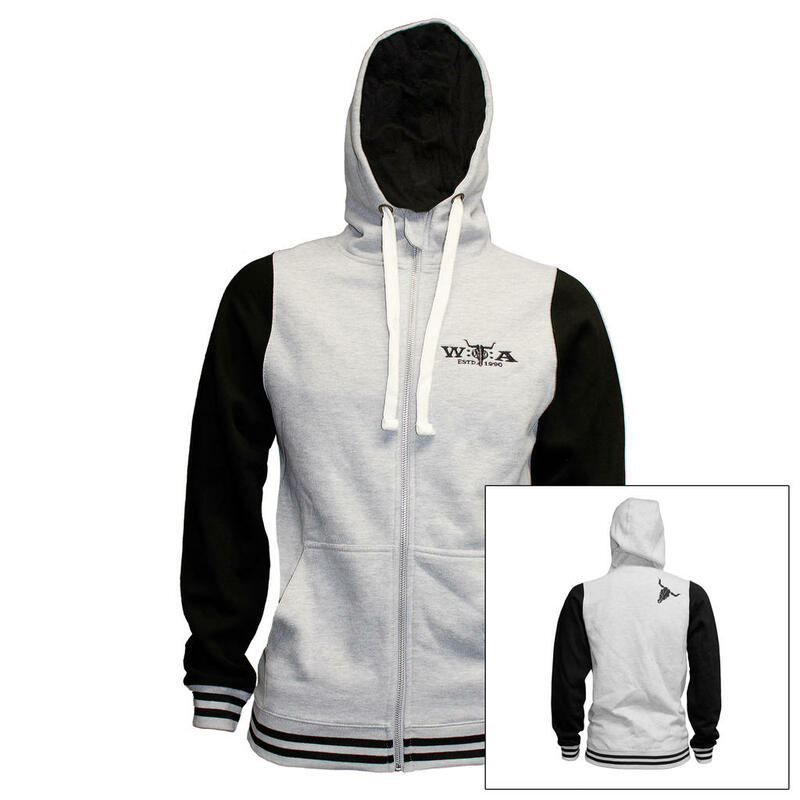 Whoever likes it discreet, is always well advised with this W:O:A baseball HoodZip. 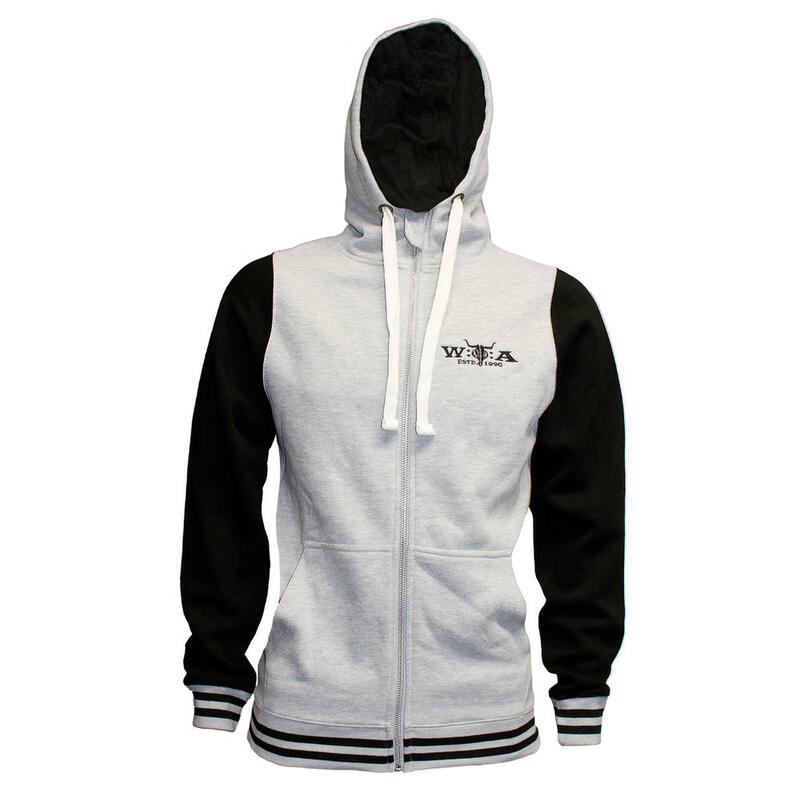 The grey jacket with black sleeves is equipped with a front pocket and the W:O:A logo is embroidered on the front. 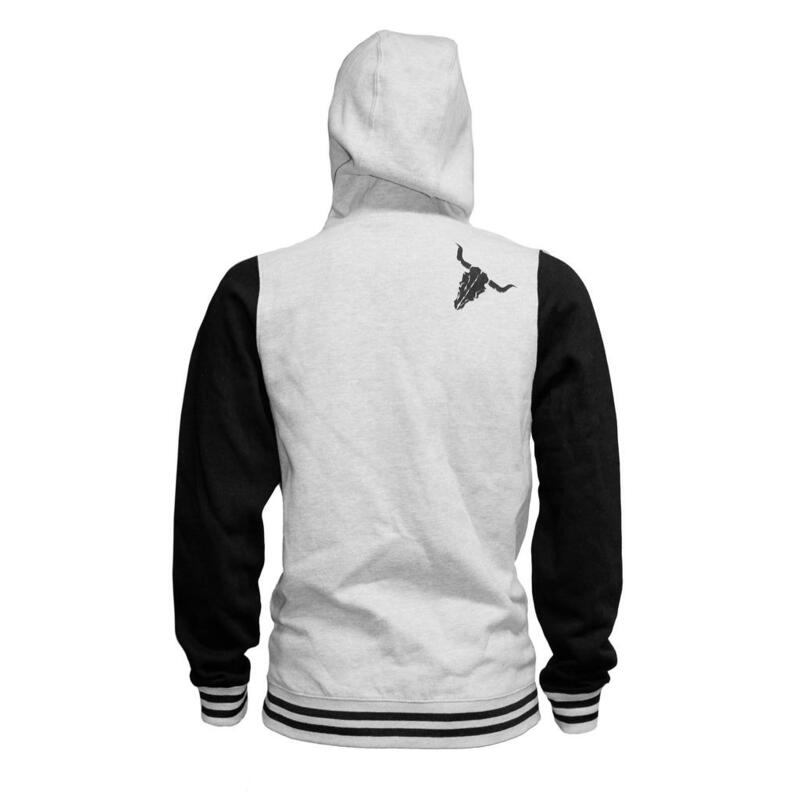 At the back side you can find the famous bullhead as a small print at the height of the right scapula and the striped cuffs as well as the striped seam round out the design.